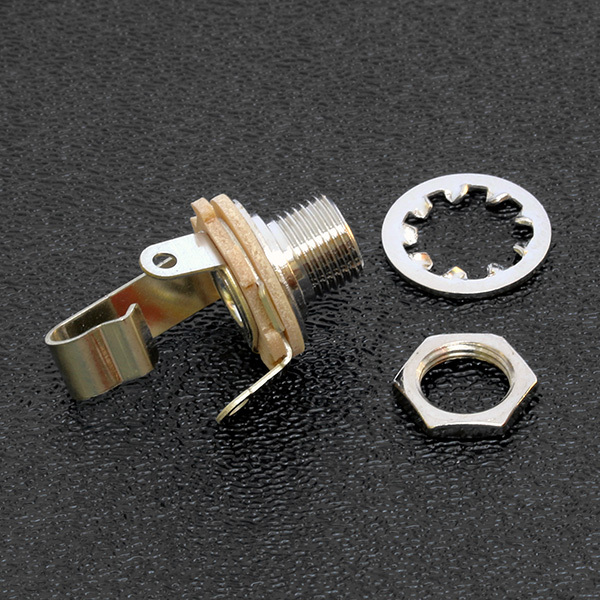 Original Fender® / Switchcraft USA 1/4" mono output jack for guitar or bass. Type 11. Includes Securing Nut & Locking Star Washer.